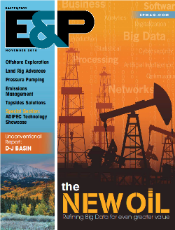 Featured in the November edition of Harts E&P Magazine, Mahesh Konduru, CEO of ProSep, discusses the importance of removing barriers to enable faster technology adoption in the oil and gas industry. This article focuses on the specific challenges faced by smaller suppliers to achieve early technology adoption and highlights the need for everyone within the industry to work together to achieve this. ← Oil & Gas Vision Interview ProSep CEO, Mahesh Konduru on ProSep’s Technology!